The farm Avontuur, also known as Grasberg, Onder-Bokkeveld. 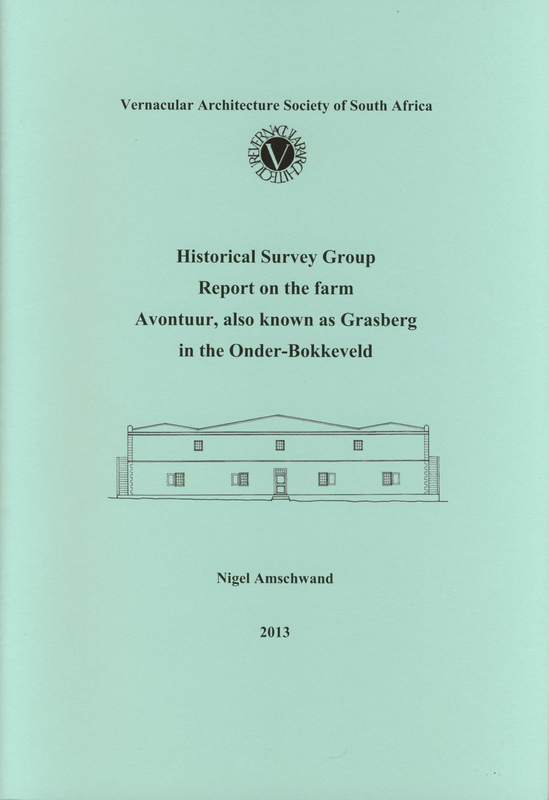 When Maureen Archer interviewed Johannes Paulus Kotze during the VASSA survey of Klipperivier/Willemsrivier, he mentioned other vierkantplaase including the farm Grasberg (Avontuur). The farm Avontuur, also known as Grasberg, Onder-Bokkeveld, is sandwiched between Klipperivier/Willemsrivier and Bokkefontein to the north. Distinguished mainly for the beautiful two-storey flat-roofed farm house situated there, not much investigation was carried out on the farm history. VASSA member Julia Meintjes organised a visit to the house in 2003 and this report by Nigel Amschwand is based on the brief survey carried out at that time plus some later background research.